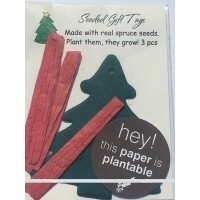 Designed especially for Christmas and Winter weddings or parties, the Spruce Tree plantable wedding favor is a seed favor, embedded with wildflower seeds. These winter plantable wedding favors include a tag personalized on one side and the instructions for planting the seeded paper on the other. These striking winter plantable wedding favors are also perfect for including in your Christmas or holiday cards or used as plantable holiday gift tags. 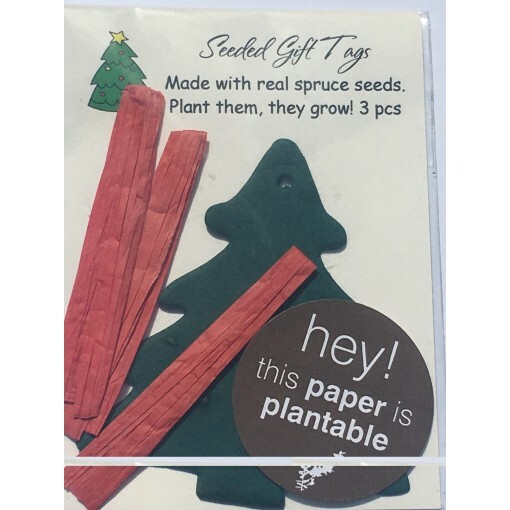 NOTE: Because Botanical PaperWorks is committed to the highest quality seed paper products, this seed paper shape now has wildflower seeds embedded in the paper, not White Spruce seeds as it has been in the past. Details Custom colors are not available for this product. Size: 4.25 x 6 inches Shipping: This product ships 1 business day after order is received. Wildflower Seed Mix: Grows a blend of colorful wildflowers including Bird’s Eye, Clarkia, Black Eyed Susan, Sweet Alyssum, English Daisy, Catchfly and Snapdragon. i brought this and was not sure how it would turn out. this is a good value produxt perfect for a gift and i am happy. the packaging of the card looks nice too. this is a very nice tag. 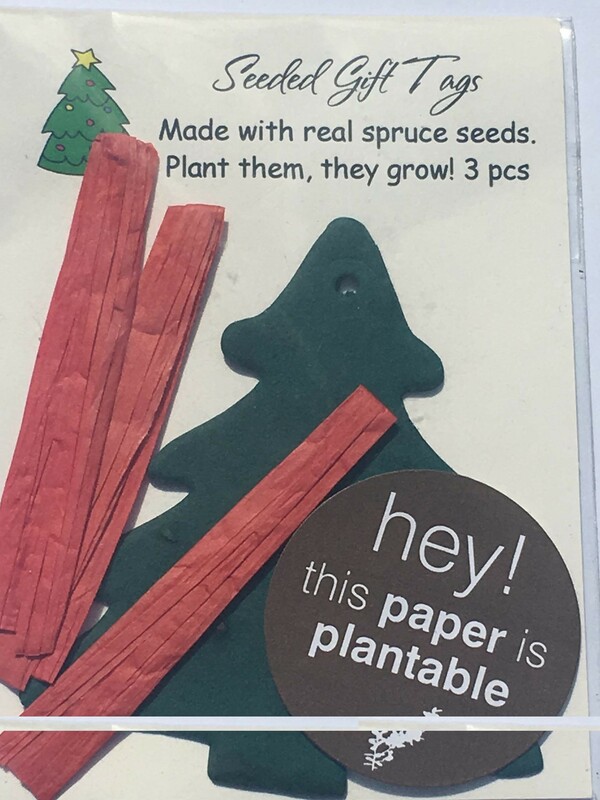 I used it to plant and also did put one in my car for a while.